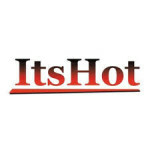 ItsHot.com is an online clearinghouse of jewelry products for men and women, with bridal jewelry, chains, diamond rings and engagement rings, luxury watches, and more available directly from this online e-commerce platform. Visitors will be able to shop for semi custom these direct from some of the more popular jewelry designers around the world at clearance prices, as well as purchase gold and other precious metals by the foot. First time ItsHot.com customers are invited to spin a wheel of chance to see what kind of discount they might get towards their first purchase, discounts ranging from anywhere between 1% off and 50% off.